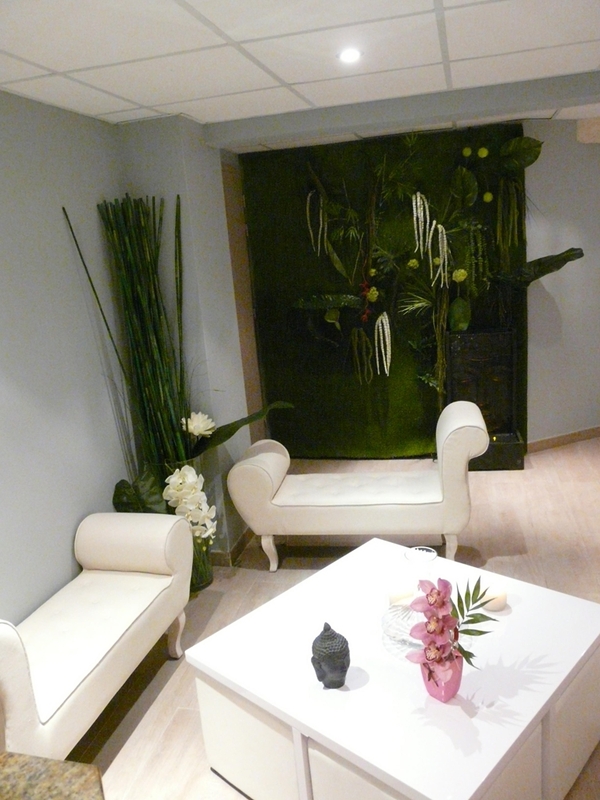 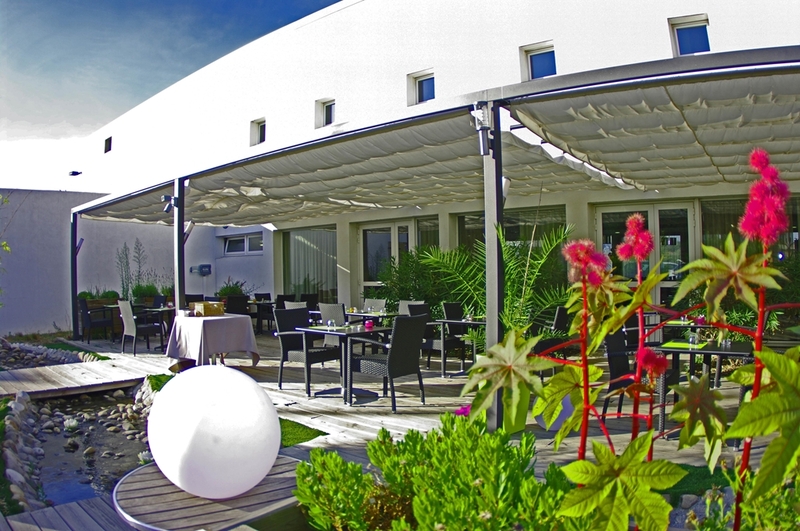 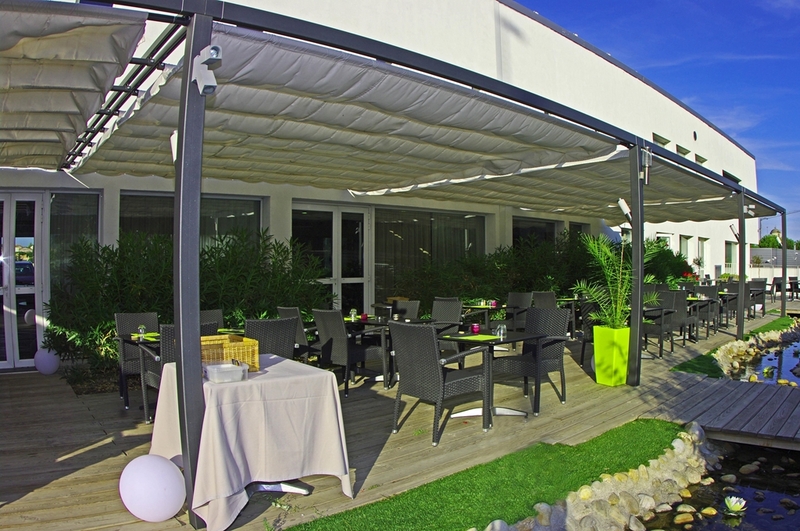 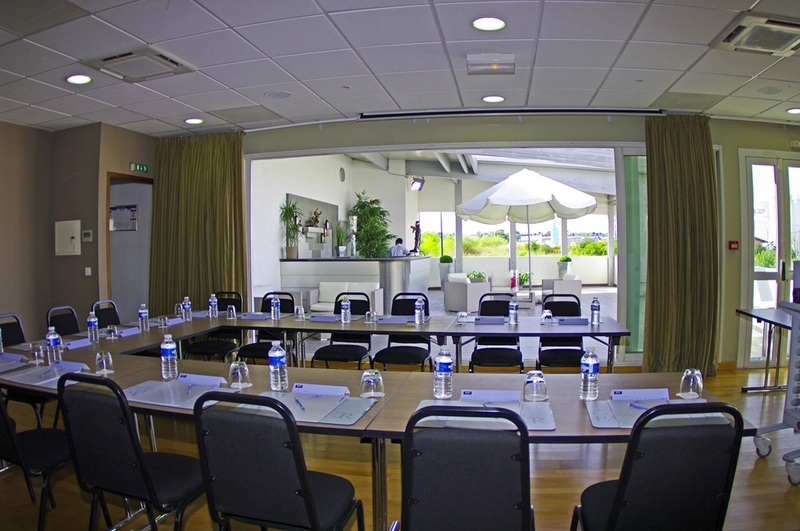 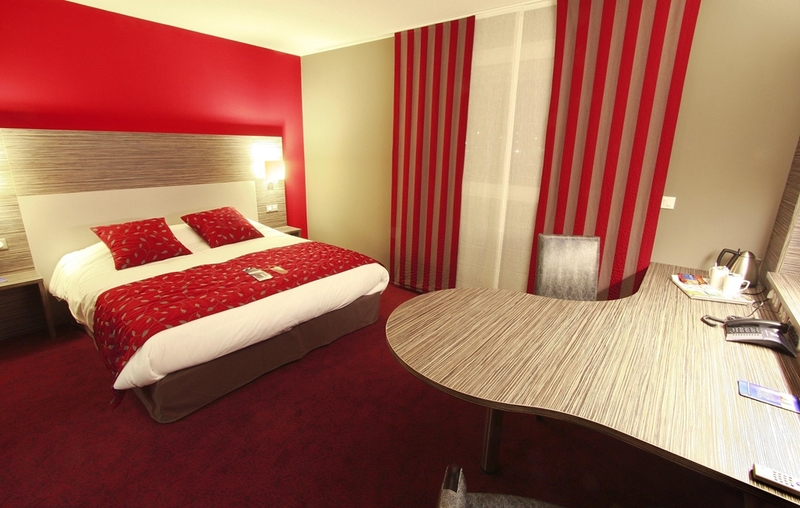 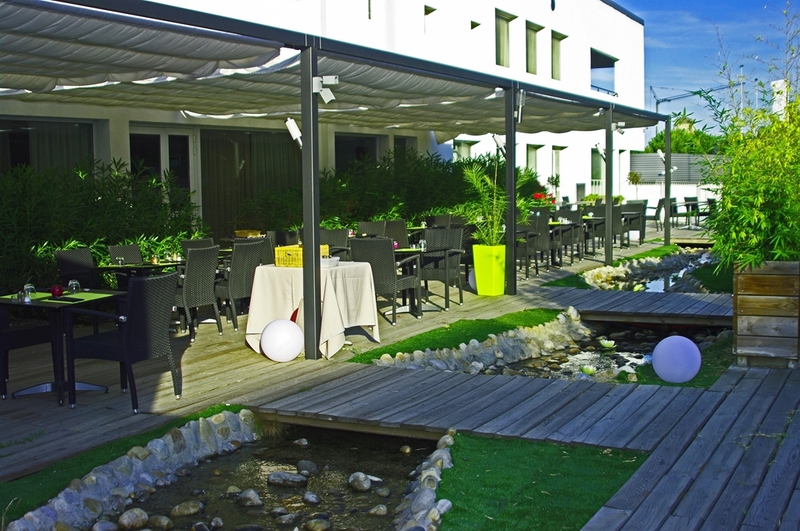 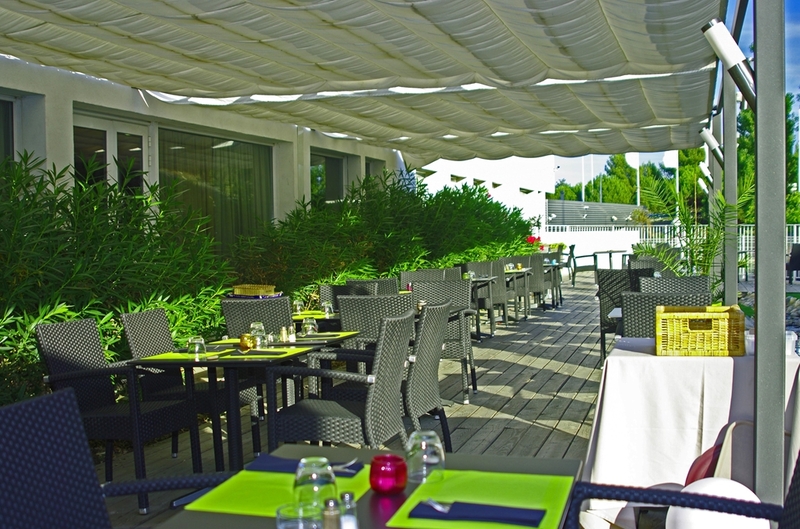 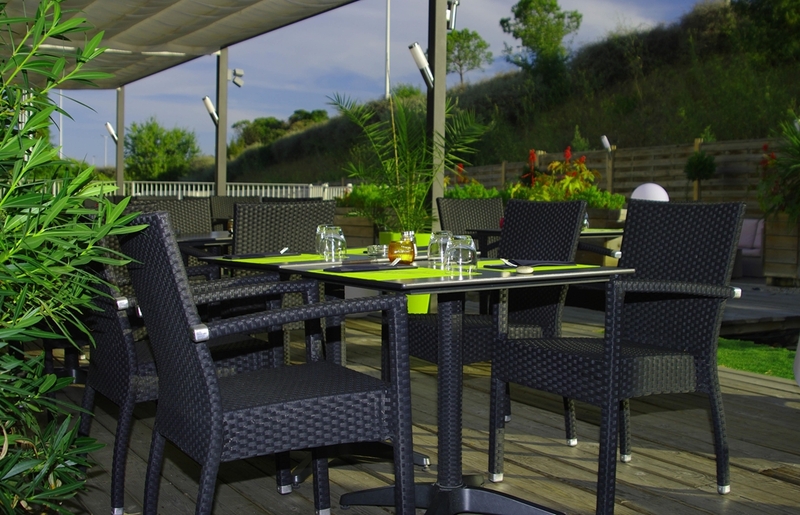 Enjoy athe comfort of 4-star hotel with everything you need to work or relax: the hotel is fully air-conditioned, close to Montpellier city centre, offers connections to the Mediterranean TGV line and the airport, and is a stone’s throw away from the beaches. 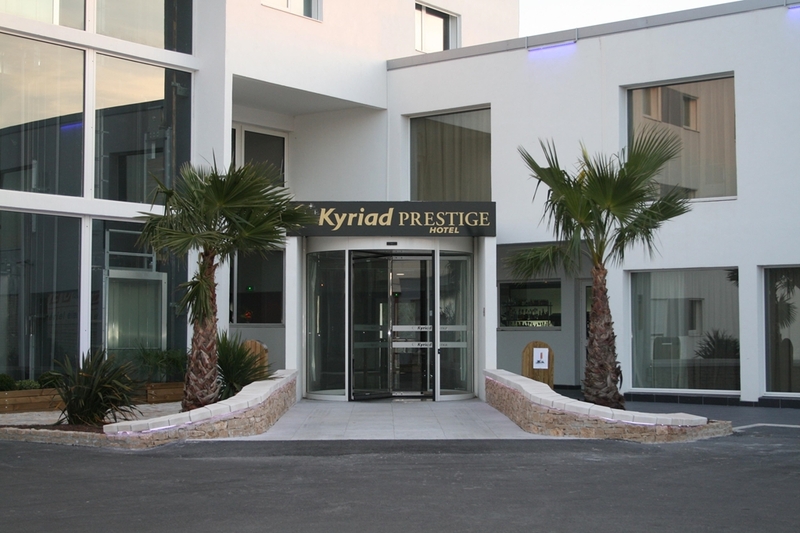 Kyriad Prestige Montpellier Ouest Croix d’Argent is ready to welcome you 24 hours a day in French, English, Italian, Spanish, German and Portuguese. 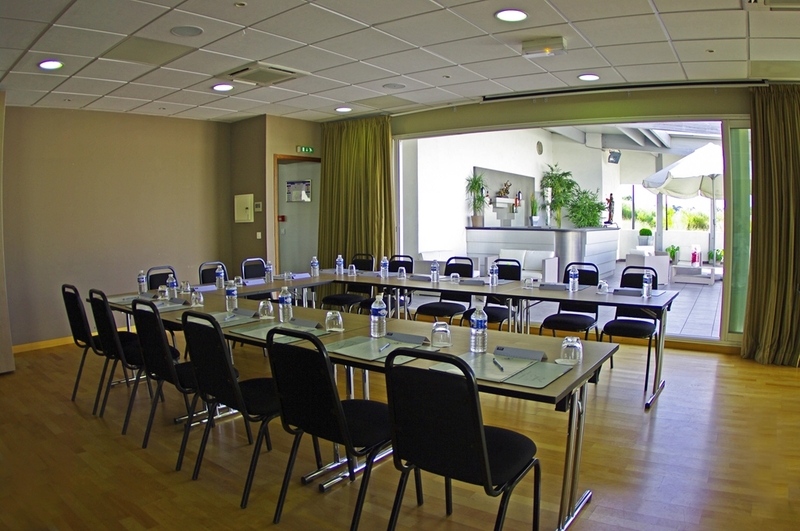 Your Kyriad Prestige Montpellier Ouest – Croix d’Argent hotel is newly built and boasts high-tech facilities comprising 100 spacious air-conditioned rooms. 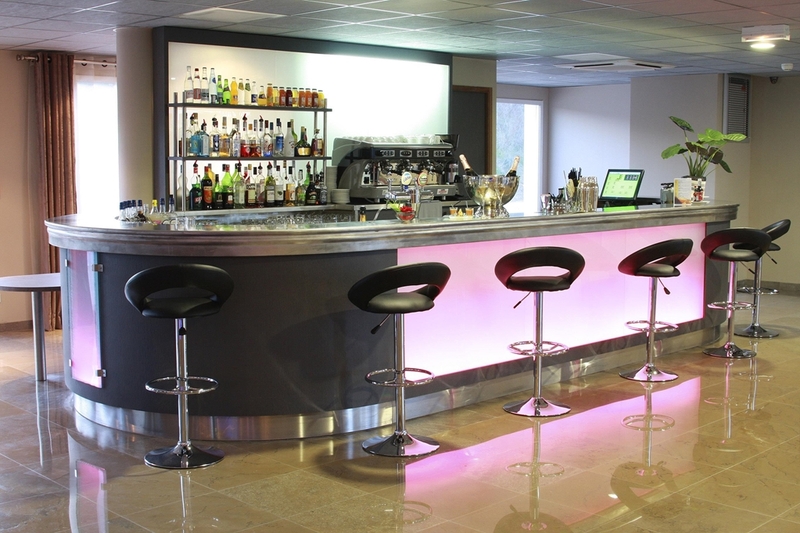 Four of these are specially adapted for mobility impaired guests, and 20 are specially designed for our Business guests (meeting area).The decor and facilities are modern and the services are tailored to provide you with the greatest level of comfort. 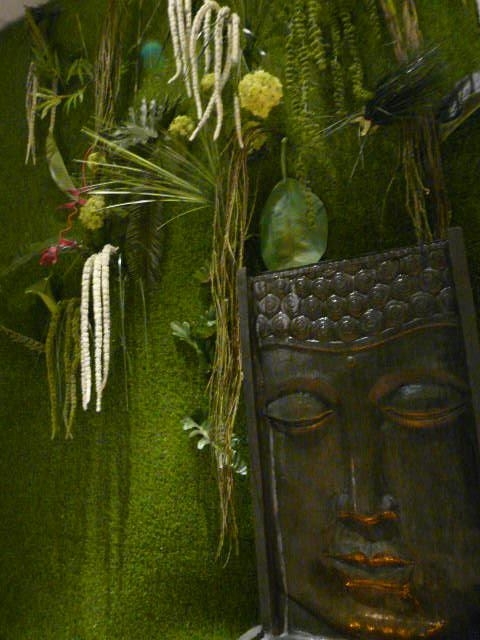 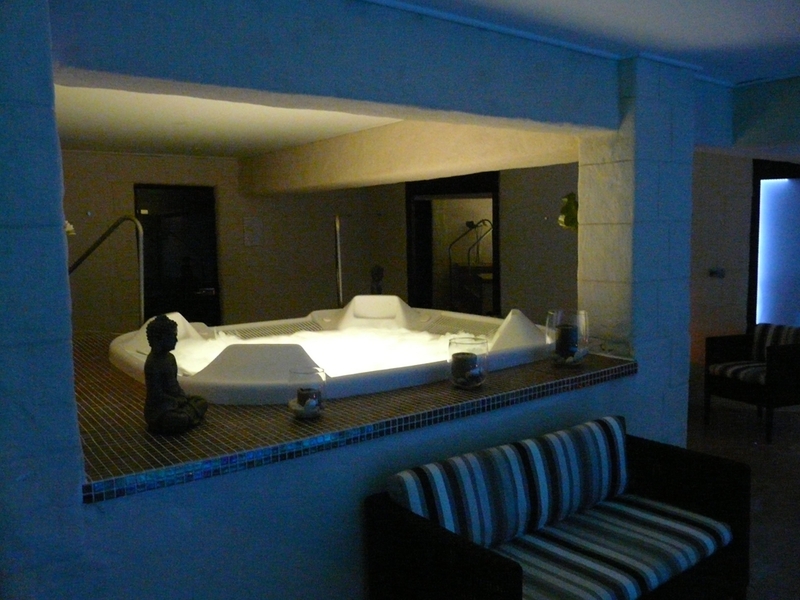 All of the rooms are equipped with a hairdryer, a safe, a minibar, a bath or a shower, with spa baths in the suites. 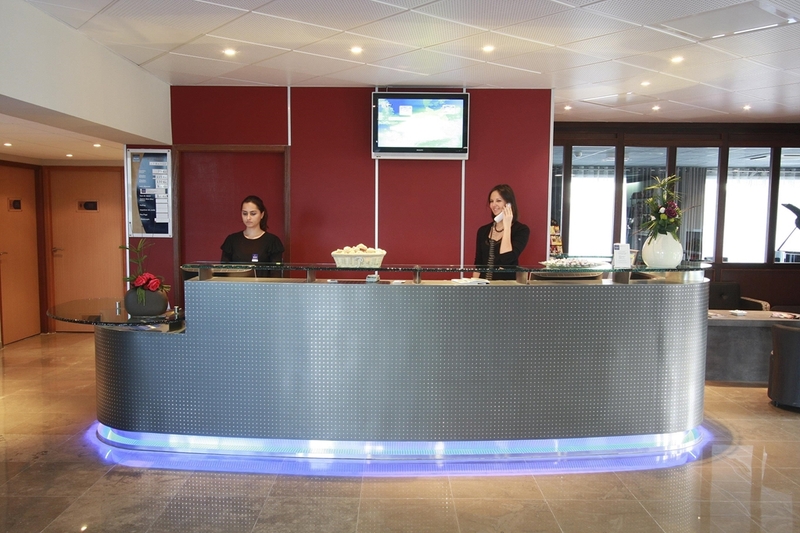 You will be able to relax in our leisure centre (gym, steam room, sauna, massage, indoor pool* extra service needed reservation 04.99.53.23.37), by the edge of one of the 2 pools (outdoor and indoor), or work at your convenience thanks to your free Wi-Fi / broadband Internet connection. 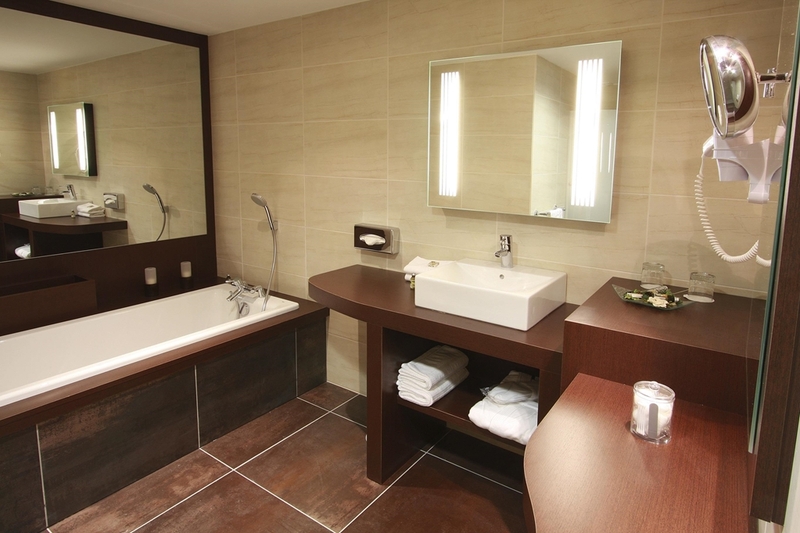 With such comfort at hand, you will have a hard time leaving us! 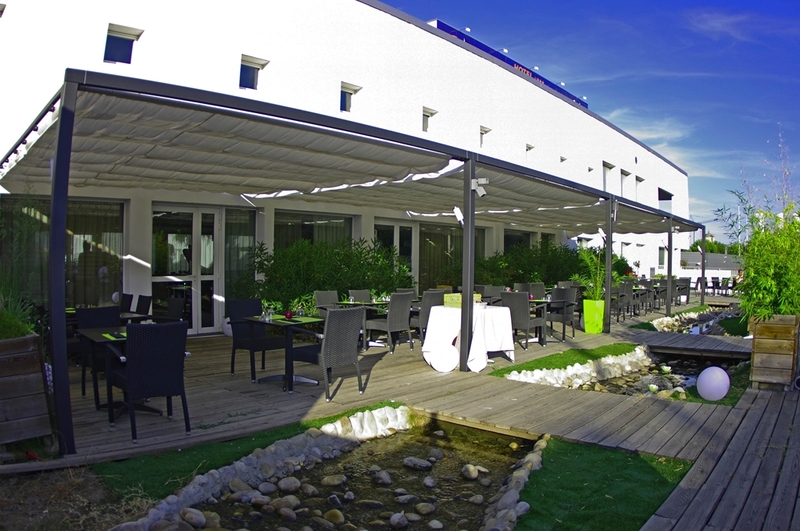 Croix d’Argent hotelKYRIAD PRESTIGE Montpellier Ouest Croix d’Argent carries the K-Business quality seal. 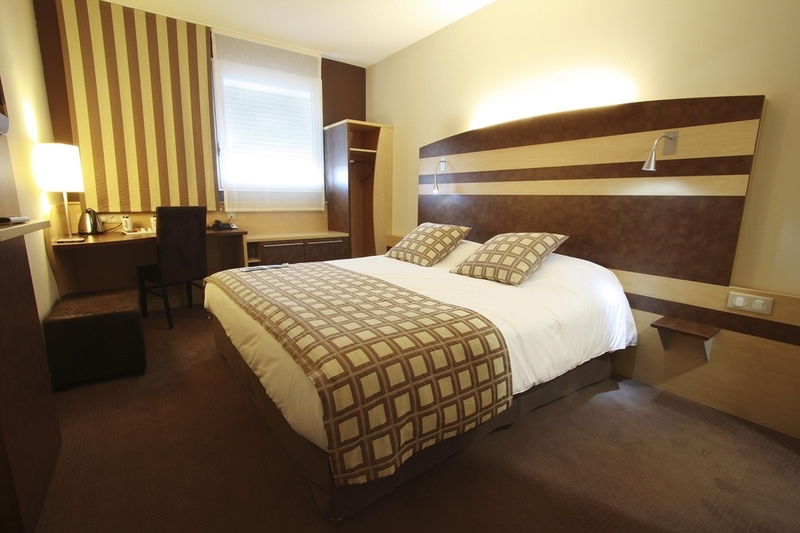 Take advantage of our 5 comfortable rooms, modern facilities and tailored services for a solution adapted to your needs. 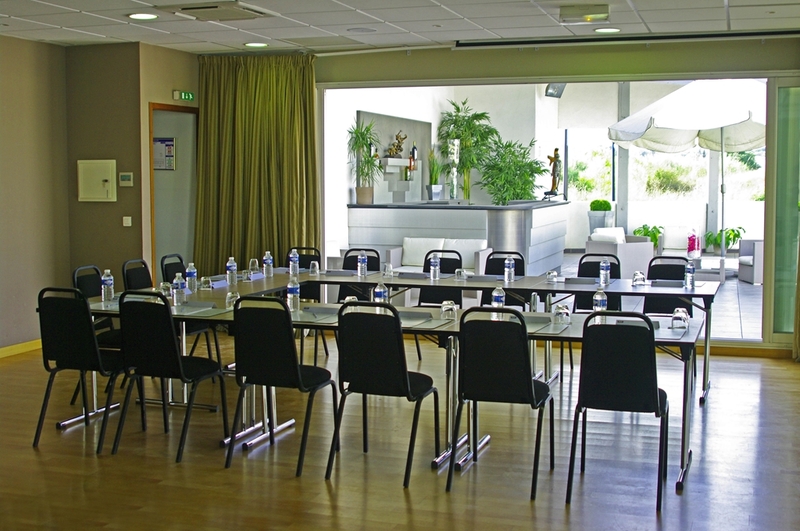 (350 m² of multi-purpose space accommodating up to 250 people).